2525 Omiko Place has the TMK 2-3-9-43-89. This Kihei Home is located at the quiet bottom of the Keonekai Heights neighborhood in South Maui. The floor plan is a comfortable split-level layout with 3 bedrooms and 2.5 bathrooms, a total of 1712 interior square feet. The 7513 square-foot lot offers excellent privacy and is nearly fully fenced. Bordering the 2-car garage, an unusual high carport has been added to the structure. The elevated cul-de-sac location allows for sweet ocean views from the master suite as well as from the extended covered and uncovered lanai spaces. A short walk through the Maui Banyan complex easily connects to popular Kamaole Beach Park 2 and South Maui's road side shops and restaurants. Kihei Real Estate and Kihei Homes, including homes in Keonekai Heights in South Maui, are viewed best at VWonMaui, a partner of the famous 1MauiRealEstate.com project. 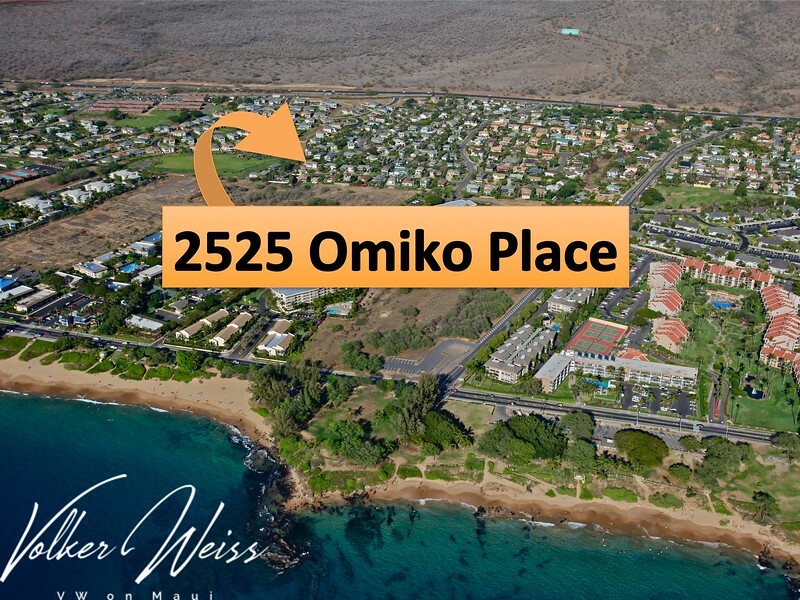 2525 Omiko Place, Kihei, Maui, Hawaii. Research Kihei Real Estate and all Kihei Homes for sale, including Keonekai Heights in South Maui, on the area’s #1 website VWonMaui, a partner of the famous 1MauiRealEstate.com project.